Our law firm, Whittelsey, Whittelsey, Poole and Corley P.C., has roots in the Opelika community that date back nearly 100 years. Our attorneys are experienced in a range of legal matters in Alabama, including personal injury, criminal law, family law, estate planning and business planning. We have fostered a sense of community at our law firm since our founding in 1918. Over the years the Whittelsey name has become trusted throughout Opelika for its experience and knowledge about the law. Whether you’re injured in a car accident, going through a divorce or are charged with a crime, our attorneys have the experience to represent your best interests. Our attorneys are also experienced litigators. Our law firm is known around Lee County as one with lawyers who aren’t afraid to go to trial. We plan on bringing every case to a jury because it allows us to prepare for every outcome. It also helps us in settlement negotiations. No matter the avenue—through settlement or trial—our team has the experience and dedication to work for the best possible result. We don’t focus on one area of the law because we want to help the community with any legal need. 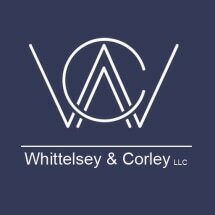 Whittelsey, Whittelsey, Poole and Corley P.C. is known in the community, and we are proud to work with local residents to represent them in a wide range of cases.